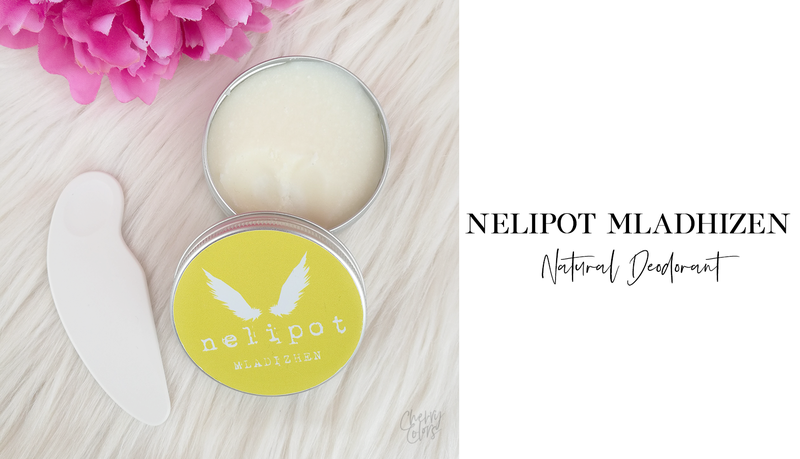 NELIPOT Mladizhen Natural Deodorant - Cherry Colors - Cosmetics Heaven! 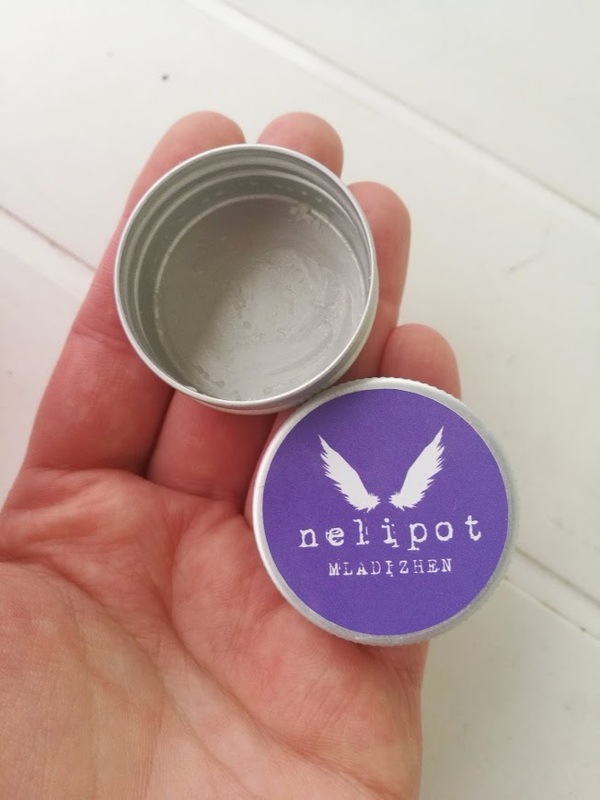 If my last experience with Nelipot wasn't so great (read NELIPOT - a deodorant with a story) I was eager to learn that they've come out with a new product. A natural deodorant that doesn't contain any sodium bicarbonate. And since I was sick of classic deodorants and antiperspirants I couldn't wait to test it out. 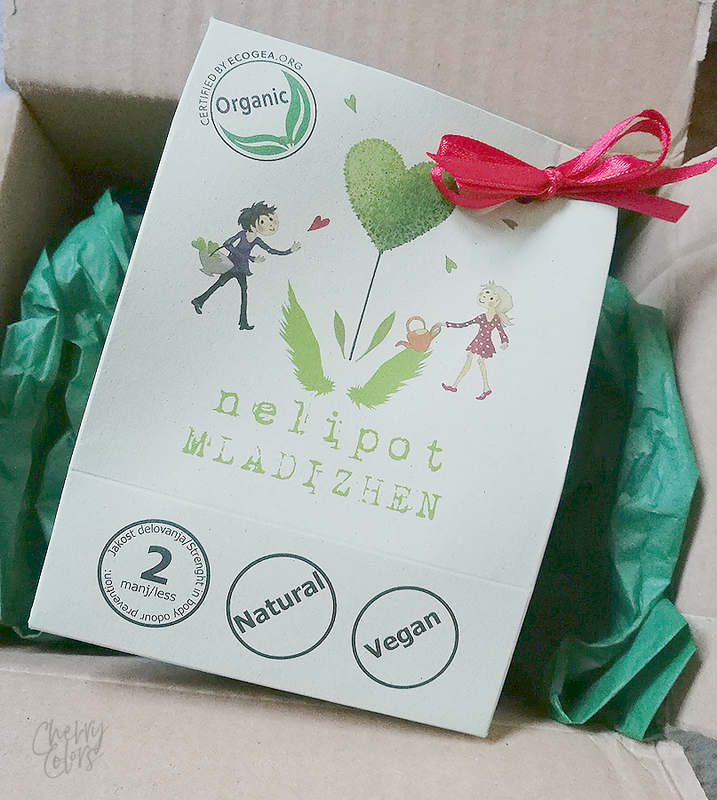 Nelipot MLADIZHEN is first deodorant cream for the prevention of unpleasant body odour for children aged over 7 and for people with very sensitive skin, based on magnesium, with a fresh, youthful frangrance of green apple and vanilla essential oil. MLADIZHEN deodorant cream is suitable for everybody with sensitive skin, it does not contain sodium bicarbonate and has a very pleasant feel on the skin. It holds up to 12 hours, so we have grade it as our level 2 cream. I know it's meant for young kids, but my armpits are really sensitive. If I use regular deodorants and antiperspirants I get horrible, plainful cystic acne. Last time a sebaceous gland got clogget. That was horrible and I didn't want to repeat it. 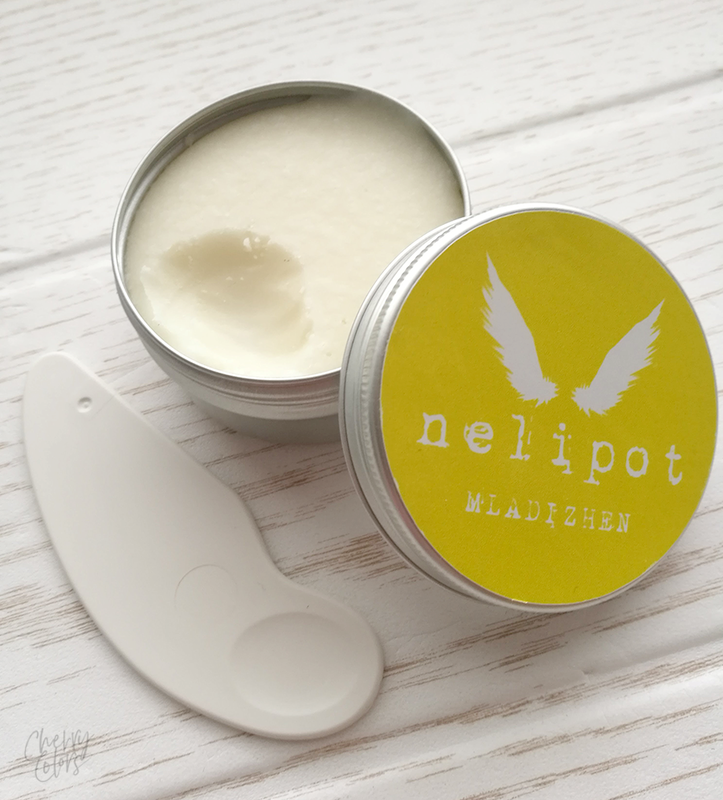 Nelipot Mladizhen comes in an aluminium pot and contains 50ml of product. Since the product just came out, you're probably wondering how can I already review it? That's easy. I got a sample size back at BBMU 2017 and I've been using it since. Since it was a mini size I used it in one month and a half and was pretty sad because of that. I used the sample size with my fingers but you can get a really cool spatula when your get your Mladizhen. 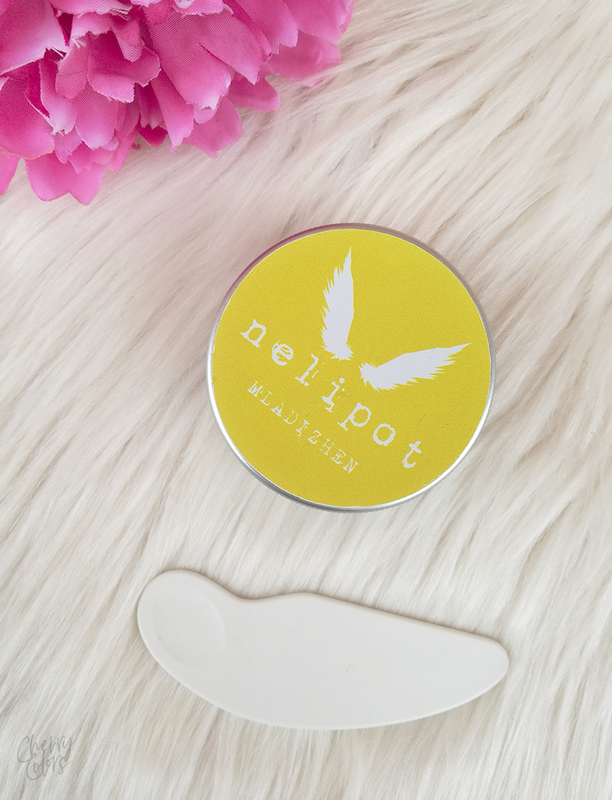 Spatula is a biodegradable plastic utensil that will make it easier to apply our deodorant cream to your skin. In addition to its functionality, its advantage is that in the event of proper decomposition it will degrade in nature. How to use: Apply a hazelnut-sized amount to the underarm area. We recommend you apply it after showering, when the skin is warm and moist which allows the cream to be absorbed easily. Use the included spatula. I usually apply the cream in the morning and it takes some rubbing between my fingers to melt it enough for it to spread. Does it last the whole day? No, of course not. It's not something that I expected from it, as usually such deodorants don't last a long time on me. But it lasts about 8 hours and then I can re-apply the cream. But I don't mind it since my armpits are happy (no more breakouts!) and healthy. You can read more about the ingredients and their meaning on SkinCarisma. I'm pretty pleased with the product but I only wish it was a bit stronger for those days when I'm extra stressed or move more. But other than that I'm really happy that I got the chance to try it and it hasn't caused me any irritation so far. That's a HUGE plus in my book. Have you tried any natural deodorants so far?